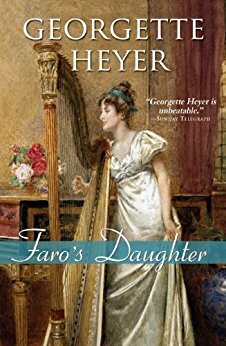 This week's Book Giveaway is Georgette Heyer's novel Faro's Daughter. I don't think anyone is going to pick this as their all-time favorite Heyer, but it falls somewhere in the middle of her body of work—not perfect, but still featuring the kind of charm, wit, and historical detail that most other romance novelists can only dream of achieving. A full review will follow shortly.